Hey everyone! One of my favorite things to eat during the day, especially about 30 minutes-1 hour before my workout is this all-natural protein bowl! Plus, it has 20 G of protein!!! Bonus! First off, just start by putting about 4 oz of milk into a blender, followed by 1 cup of frozen berries. But make sure if you buy this in store, it is only fruits, and no added sugar; otherwise, you can just wash some berries and put them into the freezer yourself! 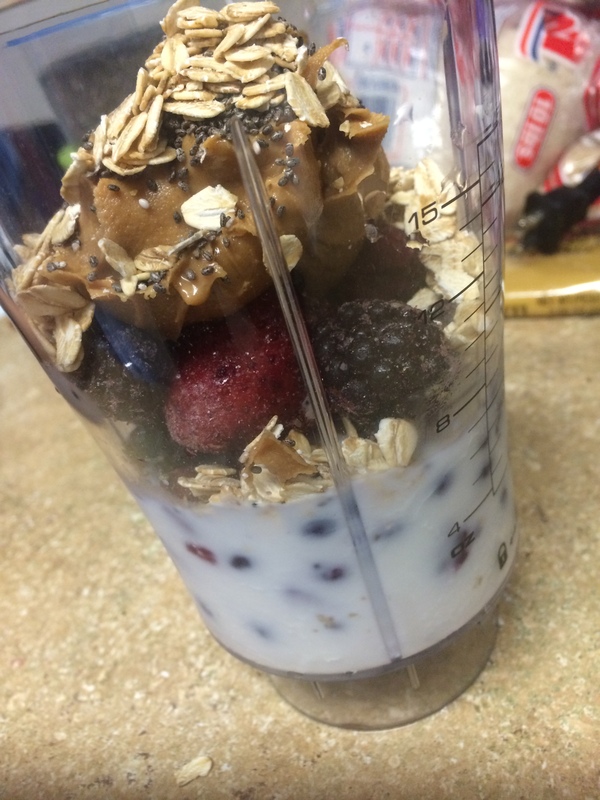 After putting the berries in the blender, add in one 2 tbsp of peanut butter, 2 tsp of chia seeds, 1/4 cup of rolled oats, and a drizzle of honey. Blend all of this together, and open up the blender to stir from time to time so that all of the ingredients can be incorporated. Keep the consistency thick though, so be sure not to blend it completely. 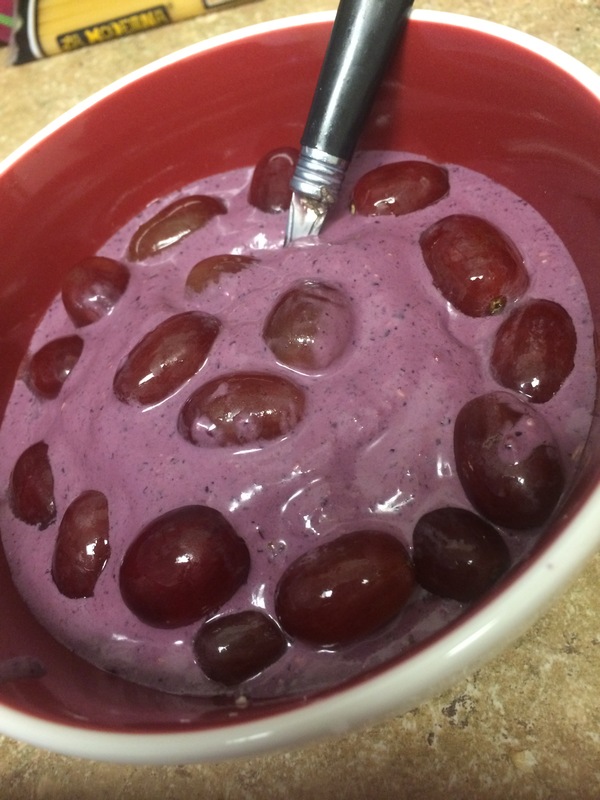 Scoop into a bowl and add some fresh fruits; I prefer grapes or bananas to bring contrast to the berries. Welcome to “Dating a Carnivore”!